At Fiumicino airport follow the sign for trains and drop on the train FL1 (Fiumicino Airport to Fara Sabina). 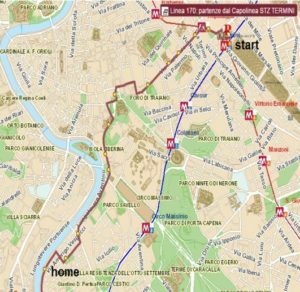 After this stops: Fiumicino Aeroporto-Parco Leonardo-Fiera di Roma-Ponte Galeria-Muratella-Magliana-Villa Bonelli-it will be Roma Trastevere and you have to dropp off. Travel time around:30 minutes. Cross Trastevere Station square; at the lightstop cross the road and on the right side, you will find the bus stop “Orti di Cesare”. 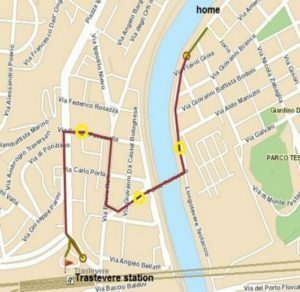 Drop on the bus n.170 (direction Termini) or n.781 (direction Teatro Marcello) and drop off at Lungotevere Testaccio/Franklin (4 stops, around 1,5km). Go back for 50 metres and you will cross at yourleft side. Price train 8€/person. Price bus:1,5€/person. Even if this train is direct and faster, this solution take more time than the other. 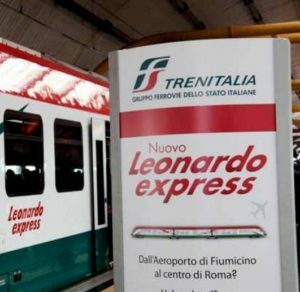 At Fiumicino airport follow the sign for trains and drop on the train Express Leonardo Fiumicino Airport à Termini Central Station. 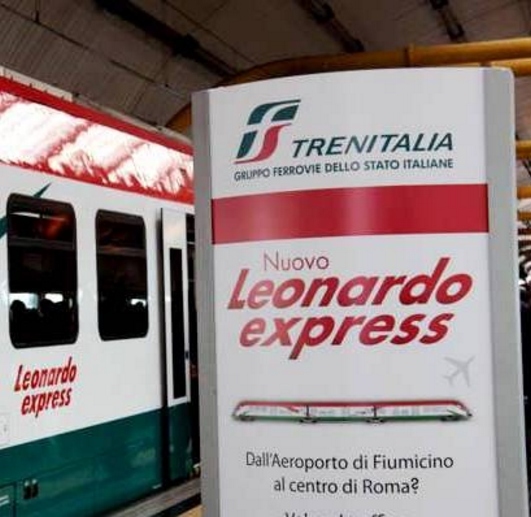 Is a NOSTOP TRAIN and goes directly to the Termini Central Station. Frequence: every 32min; travel time: 30min. 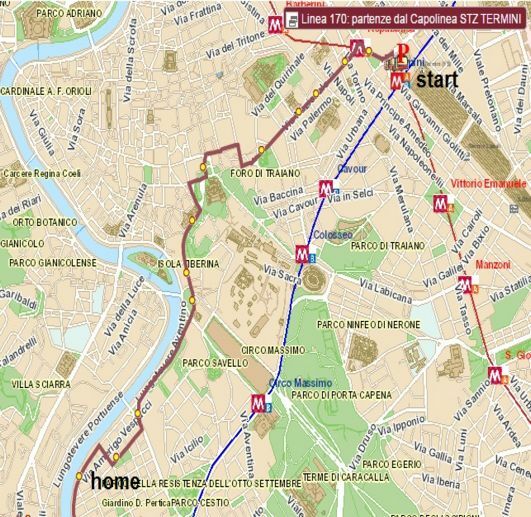 From Termini Central station, cross the square looking for the buses stops and drop on the bus n.170 (direction Agricoltura); drop off at Lungotevere Testaccio /Franklin (12 stops, around 5km). 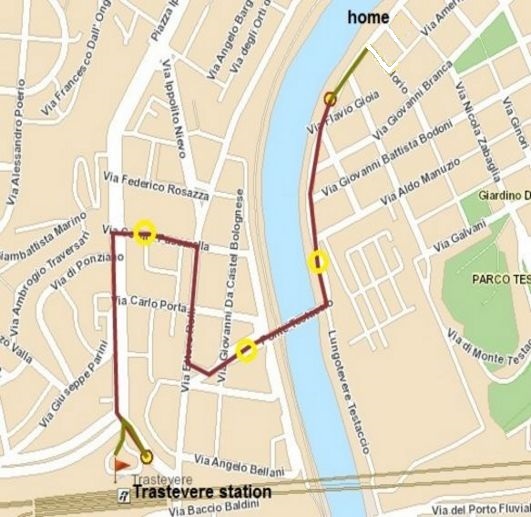 Cross the way and go to the left direction for about 100 metres; in the third street on your right side is Testaccio apartment. Price train 8€/person; price bus:1,5€/person.